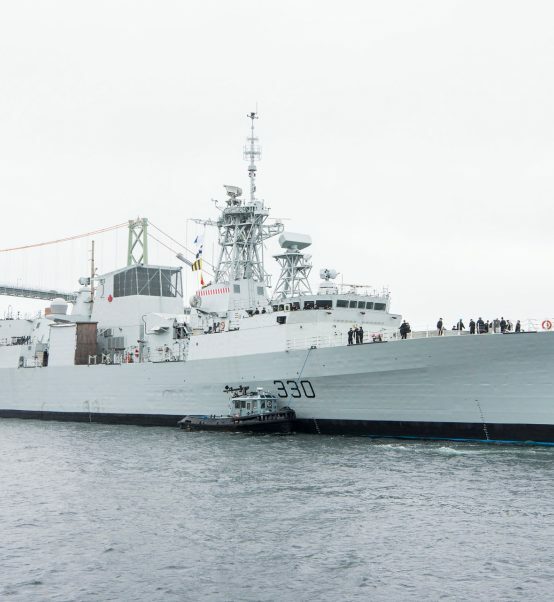 The Royal Canadian Navy’s Halifax-class frigate, Her Majesty’s Canadian Ship (HMCS) Montreal, arrived at Halifax Shipyard yesterday for a 53-week docking work period (DWP) that includes routine maintenance and upgrades to ensure the ships longevity. More than 400 Halifax Shipyard employees will work on HMCS Montreal DWP, including apprentice and journeyperson crane operators, electricians, engine fitters, ironworkers, joiners/stagers, labourers, material handlers, pipefitters, riggers, and welders, who are members of Unifor Local 1. HMCS Montreal is the third consecutive Halifax-class frigate from the Navy’s east coast fleet to enter the Halifax Shipyard’s graving dock for a DWP since 2016. HMCS Fredericton is in the final weeks of a DWP, returning to the Royal Canadian Navy in October 2018, and HMCS Halifax DWP took place from October 2016 to September 2017. 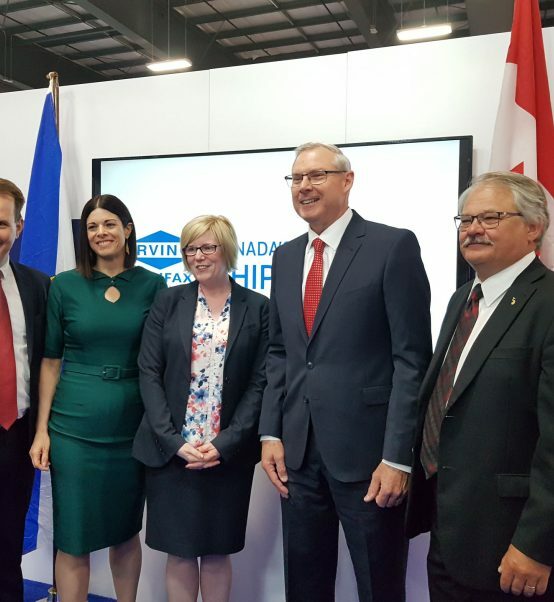 “Our shipbuilders know the Halifax-class better than any other shipbuilders and we are proud to continue our legacy as the Halifax-class in-service support centre of excellence,” said Kevin McCoy, President of Irving Shipbuilding. Prior to the DWPs, all seven of the Royal Canadian Navy’s east coast Halifax-class frigates completed mid-life overhauls at the Halifax Shipyard as part of the Government of Canada’s Halifax-class modernization program. All seven frigates overhauled at the Halifax Shipyard between 2010 and 2016—Halifax, Fredericton, Montreal, Charlottetown, St. John’s, Ville de Quebec, and Toronto—were completed on schedule and under budget. In addition to its Halifax-class ship maintenance work, Halifax Shipyard is building six Arctic and Offshore Patrol Ships (AOPS) and 15 Canadian Surface Combatants (CSC) over the next 25 years as part of Canada’s National Shipbuilding Strategy. The first AOPS, the future HMCS Harry DeWolf, is scheduled to be launched in September 2018.